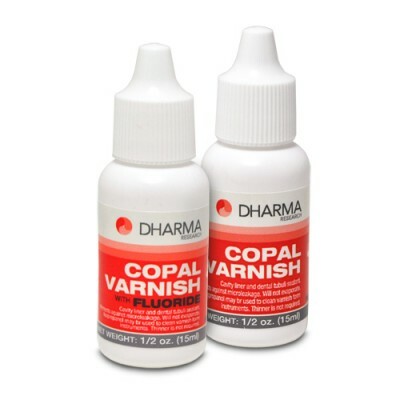 • Dharma’s Cavity Varnish protects dentin from acids released by filling materials. • It provides a chemical and thermal barrier while eliminating air pockets. • It has a special formulation that does not require the use of thinners.